Indoor Air Quality presents usable data and information on a range of subjects-from legislation to emission and ventilation rates-in tabular, graphical or schematic forms. Each chapter is thoroughly referenced so that readers can seek original documents as desired. This single volume collects the expertise of researchers in a range of disciplines, and presents it in a manner that is understandable to all professional working in the area. 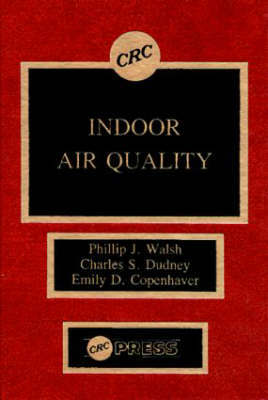 Readers have the opportunity to learn how chemists, biologists, physicists, engineers, physicians, epidemiologists, environmentalists, toxicologists, and public health scientists are contributing to the study of indoor air quality.